In these harsh economic times, one really needs to think twice before burning petrol especially at N145 per litre. And then imagine being so hungry that the thought of driving in traffic just to get food makes you feel like youd rather starve to death than go through all that traffic to eat. We feel you! 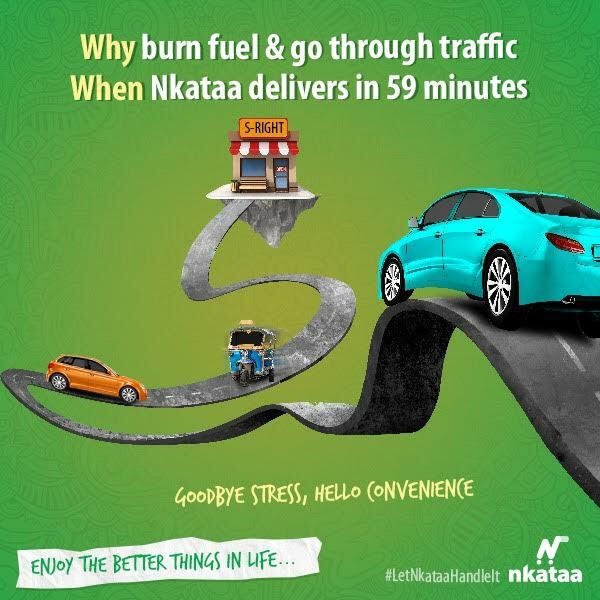 And thats why you should #LetNkataaHandleIt because we deliver ready-made food as well as groceries, and even medicine, right to your doorstep in 59 minutes or less, guaranteed. Sign up today and get a N1,000 voucher off your purchases. Visit www.nkataa.com for more info.